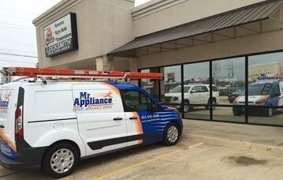 Your dedicated team at Mr. Appliance of Texarkana is committed to providing you with quality appliance repair services. As a locally owned and operated business, we treat each customer like kin. Our company has a strong family culture that we believe is one of our business’ greatest assets. Each member of our team works together and supports one another to ensure that everything runs smoothly. Our leaders, Chris and China are the beacon of light in our operation, forging the path to success. Chris is our main technician. He has years of experience and knowledge in dealing with a variety of different appliances. He is dedicated to providing excellent customer service. China is the heart of our company. She answers the phone and schedules calls for Chris, orders parts, bills clients, and more. There doesn’t seem to be a job she can’t do! 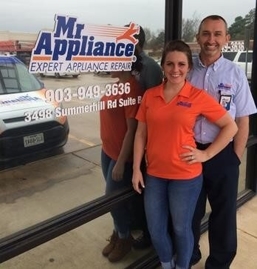 Clark and Kristi are the owners of Mr. Appliance Texarkana and Pop A Lock. They make sure everything runs smoothly and efficiently. While Kristi handles the accounting, Clark handles finances and investments. Loren handles marketing and a helping hand wherever needed! The team happily works in the same office together, pooling their resources to ensure you receive the best care available. 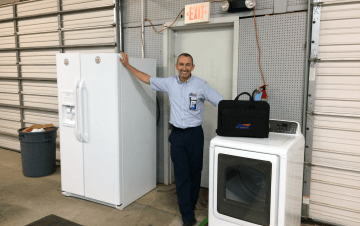 Want to see why residents of Texarkana trust our appliance repair company? Call (903) 730-6984 today!